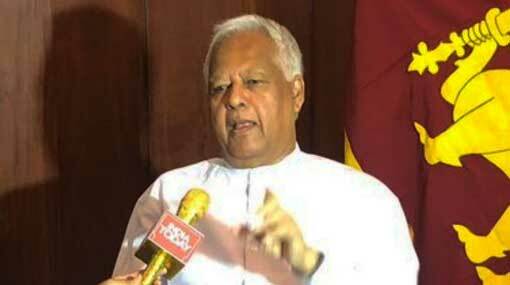 Sri Lankan Foreign Minister Sarath Amunugama dispelled concerns of China “taking over” a strategic port located on the southern part of the island nation and of Colombo drifting into Beijing’s sphere of influence. India will “always” be Sri Lanka’s first choice, Amunugama said while speaking to India Today in an interview. Amunugama underlined that Sri Lanka does not want to be “dragged into military and strategic interests of any country” and that “Sri Lanka will protect its sovereignty”. “No Chinese submarines can dock here... Just because we take loan from China, it does not mean we will subscribe to their strategic interests,” Amunugama told India Today. Sri Lanka is a very small country. India and Sri Lanka have been friends from time immemorial. Sri Lanka has always had and has to have good relations with India as part of its foreign policy. That is followed by every government in Sri Lanka. There might be slight nuances but on the basic thrust and trajectory there cannot be any differences. Early on, I asked SAARC ambassadors to come to Sri Lanka. We held discussions with them. We must start with our neighbours. Sri Lanka is the only country in SAARC that has no dispute with any other country in the region. Other SAARC countries have tensions between them. We are, in fact, a meeting point for all the countries in the region. November 14 is an advanced [date] from November 16. It [parliament’s reconvening] is not a sinister move. Earlier, we were to present the budget on November 5. Under the constitution, the President can prorogue [discontinue] the parliament for two months. If the President was worried about numbers then he could have delayed it further. But that is not the case. Change in the administration is the reason behind the change [of dates of parliament’s reconvening]. A decision has to be taken as to whether the budget is to be presented or should there be a vote [on November 14]. The political authorities wanted to hold the trust vote on November 7 itself because it is good optics and the world would have confidence but when it [the proposal to have the trust vote on November 7] was moved to the finance ministry, the officials said it was not possible to present the budget. We are very confident. When we meet and parliament is summoned, there will be no vote on that day. Parliament procedure is very clear. Can’t have a vote just like that... You have to pass an order and the paper [calling for a trust vote] has to be submitted in parliament 24 hours in advance. There is a procedure. ON EAST COAST TERMINAL. WILL INDIA GET IT OR NOT? The port is very vital for Sri Lanka because it is a trans-shipment port and most of the traffic goes to India. India is also developing its own ports, so we have to take a futuristic view of how to develop this port. Three parts of it are developed. The next two are the east and the west terminals that are due for construction. East terminal is crucial because it is a deep water port. We all agree and the President has intimated that to Prime Minister [Narendra] Modi himself that the west terminal can certainly be developed by India. Sri Lanka is looking at developing the east terminal on its own. [Ousted Sri Lankan PM] Ranil Wickremesinghe absolutely had no business to go to India or any country and give assurances regarding this port. That is not how it works. It has to be passed by parliament. It was under discussion but was not signed and sealed. We will have to heed the opinion of the workers and the trade unions that it [developing the east terminal] has to be a Sri Lankan operation. There is a lot of attempt globally to put China and India against each other. There is no such thing. Sri Lanka needs infrastructural development and that is the mantra for development. For that we go to IMF [International Monetary Fund], ADB [Asian Development Bank], etc... the global formula today is that developing countries must invest in infrastructure. The way out of the poverty trap is to have investment and infrastructure. It requires money. It [Sri Lankan infrastructure projects] is not financed completely by China. Most are multilateral projects that involve consortiums. Japan is a bigger donor than China. While we speak of debt traps, China was able to tap into so many countries at an early stage and at a faster pace. All other countries would’ve taken double the time, including India. China markets their projects and their financing. They were quick on the draw. There are 20-30 countries that are in this alleged trap. Find out why. We cannot compromise [on] our sovereignty. These are commercial operations carried out on the basis of detailed feasibility study. We are glad that we did it ten years ago because projects today cost much more. It is a win-win situation. It cannot be seen as an attack on our sovereignty. Take Hambantota port for example. It is clearly a Lankan operation. Not a single ship can enter Hambantota unless it is guided by the harbour guards who come under Sri Lankan Navy. No Chinese submarines can dock here. Sri Lanka will protect its sovereignty. Just because we take loans from China, it does not mean we will subscribe to their strategic interests. Sri Lanka has economic relations with China and wants more [expansion of ties] with India. Our first choice is always India. We don’t want to be dragged into the military and strategic interests of any country. Nobody should infringe on the sovereignty of Sri Lanka. We are grateful to India for respecting that. There might be some differences but largely it is a strong relationship. There was no such thing [as a plot hatched by India’s external intelligence agency to assassinate Sri Lankan President Sirisena]. The guy who made the initial complaint said there was an Indian guy involved. Indeed there was an Indian guy but the Indian embassy stated that though the man was there without proper visa or documentation, he was mentally unstable. It was part of the official statement of the Indian mission. Enquiries are on. Let the matter be investigated. Sri Lanka is not accusing India of any underhand job. The Indian came [to Sri Lanka] for three months to work as a tuition teacher. [He] found employment illegally.